In addition, gum recession often results in root sensitivity to hot and cold foods as well as an unsightly appearance of the gum and tooth. Significant gum recession can predispose to worsening recession and expose the root surface, which is softer than enamel, leading to root caries and root gouging. 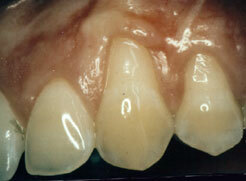 The worst treatment option in this case is to place a filling or even prepare the tooth for a crown or cap. 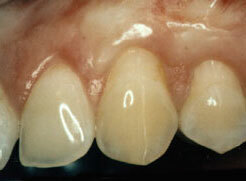 Not only will the tooth look ‘long’, but the underlying problem, i.e. the recession will not be stopped.